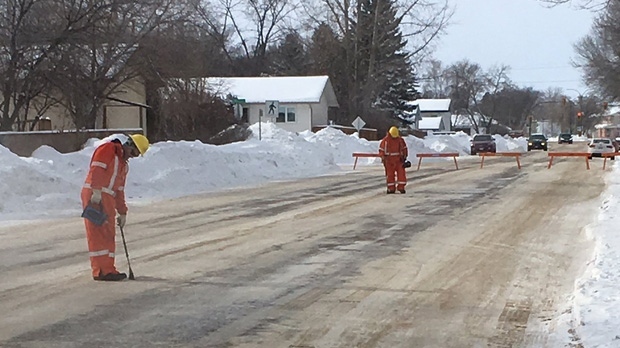 Frozen conditions slowed down the repair of an underground gas leak in Brandon on Sunday. Manitoba Hydro said crews were on scene at Brandon Ave. and 22nd St. in the morning and still hadn’t identified the leak spot by 4 p.m. thanks to icy road conditions. Customers haven’t been affected, and crews were out door-knocking to ensure their safety, said a Hydro spokesperson. Brandon police ask drivers to avoid the area for the time being.